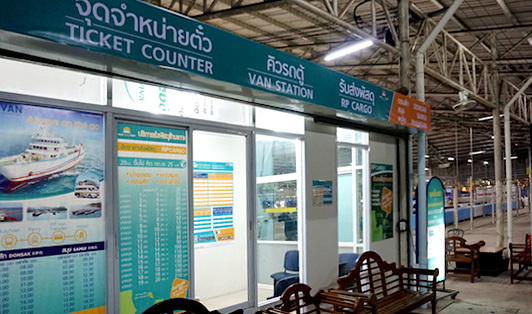 Located on the intersection of Sri Raja 1 Market, the Raja Ferry office in Surat Thani Town is an excellent service provider for anyone seeking transportation to neighboring islands like Koh Phangan and Koh Samui. Offering both minivans rides to the pier and beautiful ferry rides to gorgeous islands. It is best to arrive 30 minutes earlier than departure, just in case.